We love sharing stories about our creative team! Thanks to Kayty for letting us share hers. 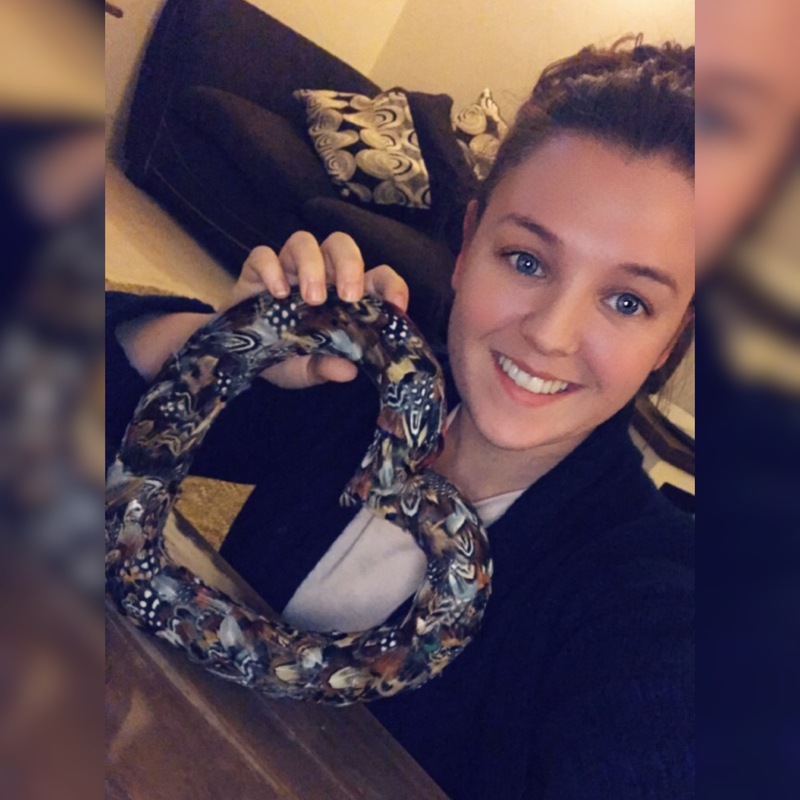 Outside of her day job as a customer service manager in our Service team, Kayty Flanders has an exciting hobby that involves making gifts from feathers. Hailing from a creative family, her Dad is a specialist oil painter and guilder, Kayty has always been artistic and when a neighbour showed her a lovely feather covered mirror she’d received as a gift, she was inspired to make creations and gifts from feathers she collects. During hunting season, Kayty, who is a gamekeepers girlfriend, spends her time plucking the feathers from the birds that are caught on the Doddington Estate, close to where she lives. Between September and February the house is full of feathers from pheasants, partridge and some woodcock. The local pub supports her venture by showing pieces on the wall, she’s sold a couple so far, but most of her orders are made to order. She has decorated mirrors and picture frames, made wreaths and small decorations including mini hearts. You can find out more about Kayty’s venture on Instagram and Facebook @Flandersfeathers.